Lupus is a very complex disease that affect any part of the body, including the lungs. There are many different lung diseases that vary in severity, but one thing is certain: the number of women developing and dying from lung diseases is rapidly rising in the U.S. With early diagnosis comes early treatment which can help prevent the disease from progressing too quickly. 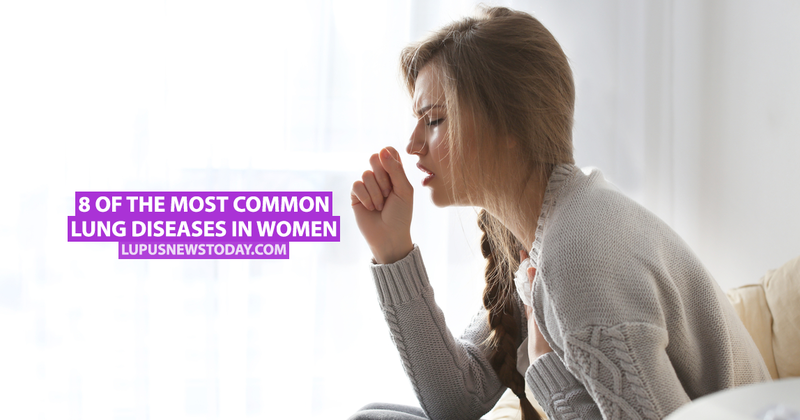 Here are some of the most common lung diseases affecting women according to womenshealth.gov. Asthma is a condition where the bronchial tubes in the lungs become inflamed and sensitive. The airways then become irritated by cigarette smoke, mold, chemical sprays, and air pollution. They can also react to respiratory infections and allergens like dust mites and pollen. Asthma causes difficulty breathing, as many patients complain of coughing, wheezing, and chest tightening. Women are more prone to developing asthma and are more likely to die from the condition. Chronic obstructive pulmonary disease (or COPD) is an umbrella term for two lung conditions: emphysema and chronic bronchitis. COPD affects the bronchial tubes and causes permanent inflammation which can lead to the production of excess mucus as well as difficulties breathing. The excess mucus generally results in a persistent cough and can also leave the patient more susceptible to infections. Emphysema affects the air sacs at the end of the bronchial tubes, meaning less oxygen gets into the bloodstream, causing symptoms such as shortness of breath, coughing and wheezing. Smoking cigarettes is the main cause of COPD and it’s thought to affect women more than men. Like asthma, women are also more likely to die of COPD. MORE: Lupus vlogger discusses her lack of energy. Lung cancer kills more women in the U.S. than any other type of cancer. There are two main types of lung cancer: small cell lung cancer and non-small cell lung cancer. Small cell lung cancer usually spreads more quickly than non-small cell lung cancer. Both types are usually linked to smoking. Pulmonary emboli are blood clots that form in other parts of the body (often the legs) and then travel through the body, becoming stuck in the lungs. Small blood clots in the lungs can cause breathing problems and reduce the oxygen flow to the bloodstream. Large blood clots in the lungs can be fatal. Women are more at risk of developing blood clots if they take contraceptive pills or hormone treatment for menopause, are pregnant or have given birth recently. Pulmonary fibrosis is a rare lung disease where the tissue in the lungs becomes scarred over time and stiffens. This inhibits the lungs’ ability to supply oxygen to the bloodstream. There are several reasons why a woman develops pulmonary fibrosis including radiation therapy and chemotherapy for breast cancer, other lung diseases, and autoimmune diseases such as rheumatoid arthritis. If no known cause is determined, it is referred to as idiopathic pulmonary fibrosis (IPF). Pulmonary hypertension is a lung disease where the blood pressure in the lungs becomes dangerously high. This elevated pressure forces the right side of the heart to work harder to pump oxygen-rich blood back into the lungs. This can lead to heart failure if not treated. 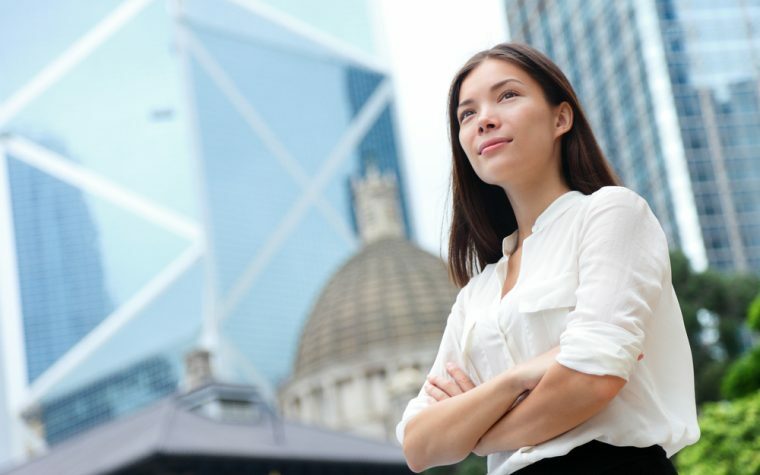 There are many reasons why a woman may develop pulmonary hypertension including childhood infections, other lung conditions, and autoimmune diseases such as scleroderma. MORE: The pathophysiology of pulmonary arterial hypertension. Each winter there are many cases of the common lung conditions influenza and pneumonia. Influenza is a respiratory viral infection which causes short-term damage to the lungs. Pneumonia could be either a bacterial infection or viral infection where there is a build-up of fluid in the lungs that inhibits the amount of oxygen that can reach the bloodstream. Most healthy people get over these infections in a week or so, but for those with compromised health (the very young and the elderly), the infection can become life-threatening. It’s important they consult their doctors about yearly vaccinations. MORE: The difficulty of having an invisible illness like lupus. Lupus News Today is strictly a news and information website about the disease. It does not provide medical advice, diagnosis or treatment. This content is not intended to be a substitute for professional medical advice, diagnosis, or treatment. Always seek the advice of your physician or another qualified health provider with any questions you may have regarding a medical condition. Never disregard professional medical advice or delay in seeking it because of something you have read on this website. Tagged asthma, chronic bronchitis, COPD, Emphysema, Idiopathic pulmonary fibrosis, influenza, lung cancer, Lung Disease, pneumonia, pulmonary embolism. Lung diseases are very common for both men and women and it is not usually caused by smoking as we used to think. There are a lot of different factors that can increase the risks of lung disease occurence that is why it is important to know all of them in order to be able to prevent unpleasant conditions. Yes, it is true that diseases in general are caused by a lot of different factors. 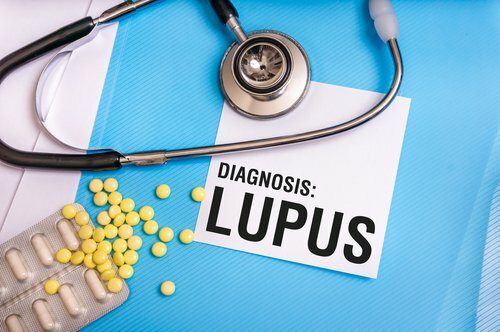 Visit Lupus News Today's profile on Pinterest. Lupus News Today is strictly a news and information website about the disease. It does not provide medical advice, diagnosis or treatment. This content is not intended to be a substitute for professional medical advice, diagnosis, or treatment. Always seek the advice of your physician or other qualified health provider with any questions you may have regarding a medical condition. Never disregard professional medical advice or delay in seeking it because of something you have read on this website.